It’s been a while since I posted one of these lists, but since Chipette is heading into fourth grade this year, it seems appropriate to share the read aloud list that I’ve compiled from various resources for the coming year. All of these books are chapter books, so no designations are needed. While I haven’t read these as read alouds yet, I have read some of the books on the list personally. I will mark those with an asterisk (*) to indicate a story that I loved. You can download the list at the bottom of this post which makes it handy for placing in your teacher binder or carrying to the library. In case you missed the previous years’ lists from preschool through third grade, they can be found under the Reading List tab. Great list! 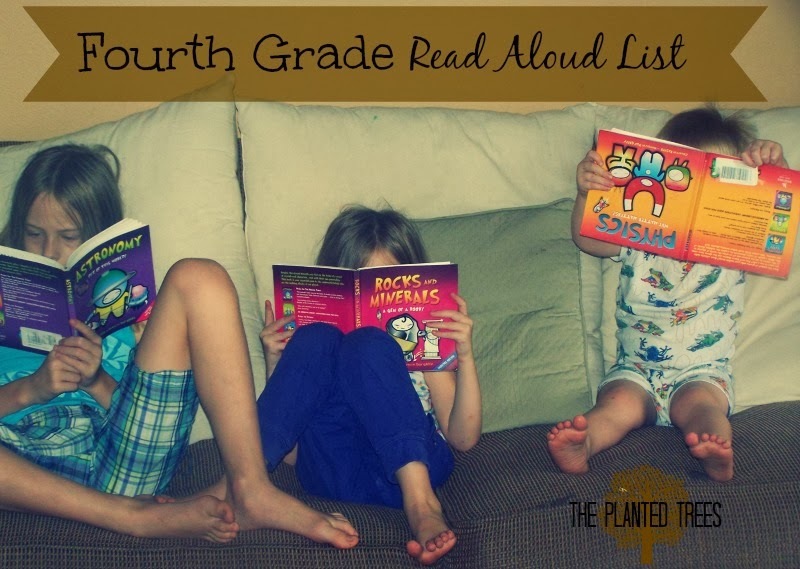 I've also got a soon-to-be 4th grader so I'll be adding some of your recommendations to my own read-aloud list!